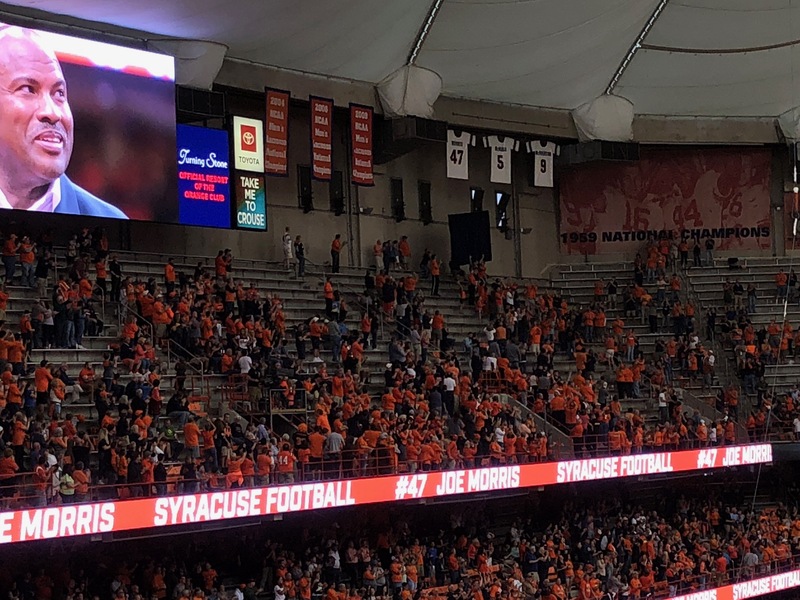 The Saturday afternoon in the Carrier Dome started with a nice tribute to a Syracuse running back from the past. Joe Morris and his support group. Joe Morris was back for a special moment. 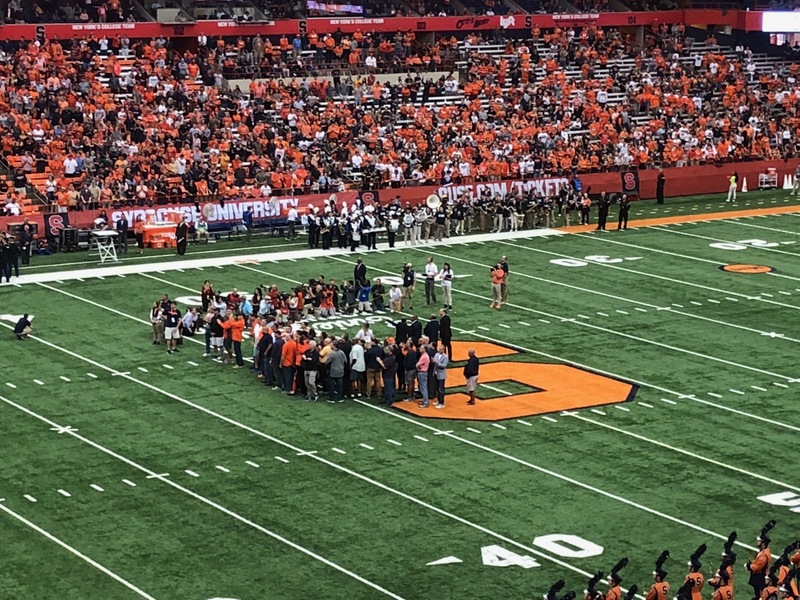 The running back who made the Orange go four decades ago had his family and friends and former teammates gathered at midfield for a big ceremony. His number was going up in the rafters of the Carrier Dome to forever mark all those yards he’d gained for Syracuse University. Morris never played a game in this building. His senior season was that odd campaign when the Orange had to play all of its “home” games on the road because the Carrier Dome was under construction before opening in 1981. Joe Morris, on screen and in the rafters. And Morris wore the jersey number 47, not the famed Syracuse 44. Onto the regularly scheduled portion of the 4 p.m. contest, Syracuse rolled over Connecticut 51-21 behind super senior QB Eric Dungey, back from that finger in the eye suffered in the week prior’s win over Florida State. Next comes a trip to Clemson, still smarting from Syracuse’s upset victory last season in the Dome. Noon Saturday. We will be watching on ESPN. keep the momentum going, orange! What a season so far, MBC!